Join GALL on Sunday, April 14, 9:00am at Goddard for the 2019 MLB Pitch, Hit, & Run which gives boys and girls, ages 7-14, the chance to showcase pitching, hitting, and running skills. Kids do not need to be registered in GALL to compete. Pitch, Hit, & Run is intended to encourage youth participation and emphasize the FUN of baseball and is completely free of charge! 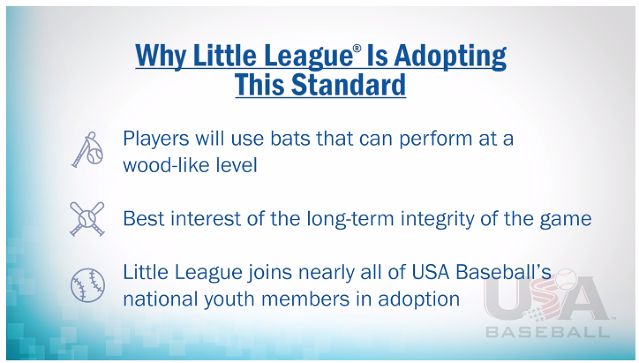 It is a national grassroots program for baseball players across the country. There are four competition levels: Local, Sectional, Team Championship, and National Finals. The Glendora competition is the Local level. Everyone must participate in a Local level competition in order to advance to the higher levels. Local First Place Champions advance to a Sectional competition. Then, the Sectional All-Around Champions are eligible to advance to the Team Championships which are held in June in all 30 MLB markets. The final event is the National Finals held annually during MLB All-Star week. PITCH - Participant is tested throwing strikes to a designated strike zone target. HIT - Participant hits a ball off a stationary tee to test distance and accuracy. RUN - Participant is timed running from 2nd base, touching 3rd base, and then touching home. All events are individually scored and converted to a total point score through the use of conversion tables. Participants compete in each of the three components and accumulate a total score based on his/her performance. All participants must register online under the "Find a local competition" link on the website. 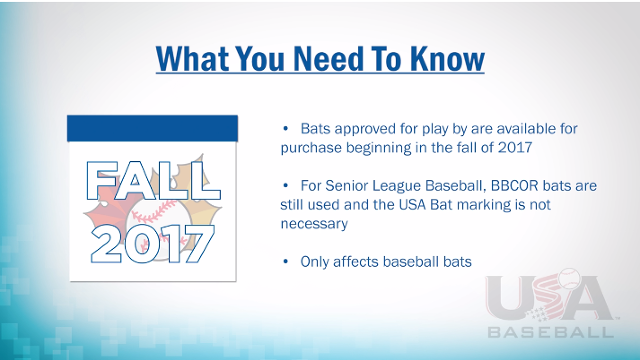 Visit: https://www.mlb.com/pitch-hit-and-run. Opening Day Spring 2019. It was an amazing day. Ted Greene Little League would like to thank everyone who came out to support the league. Special thanks to Kiwanis Club who made it happen for our pancake breakfast. To team moms who decorated the park and field. The vendors that came out to support. To the Board of Directors,managers and coaches, thank you. Lastly, thank you to Congressman Robert Torres for his support. Ted Greene Little League and Little League International have joined the efforts in informing players and families about the dangers of concussions. Please take the time to educate yourself for the safety of your player(s). Ted Greene will be requiring each player, and parent, to sign a concussion information form each year. A player will not be allowed on the field without first signing the information sheet. All managers, coaches, team parents, and league administrators will be required to complete a free online training course and submit a certificate of completion for how to recognize, treat, and support follow-up recovery of a concussion. 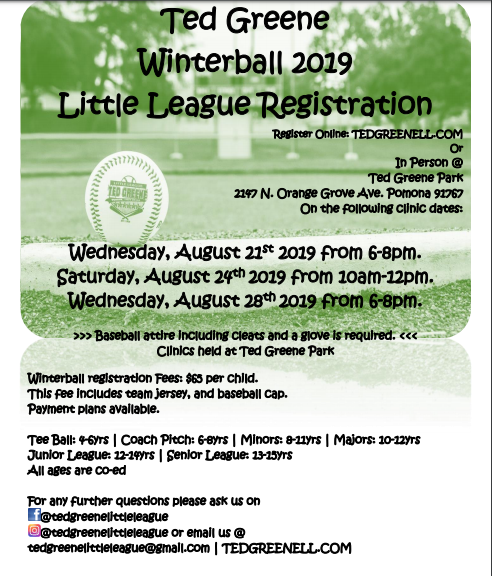 Each year Ted Greene Little League general members must renew, or sign up, for annual membership. 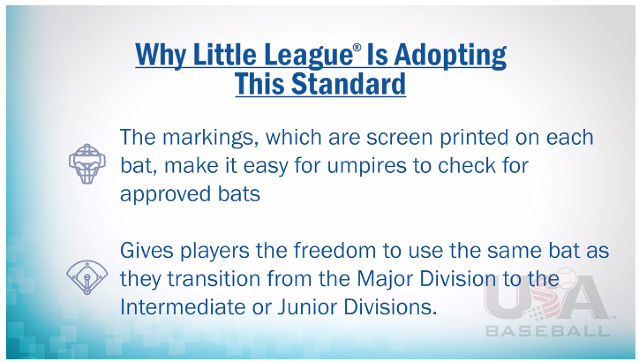 General members are eligible to vote for the board of directors, and aide in the updating of Ted Greene Little League's constitution. Ted Greene Little League's board of directors are re-elected EVERY year! Anyone may nominate people/a person that they feel will have valuable input to help continue, and/or better our league. 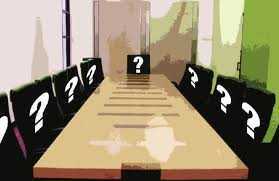 A nomination does NOT mean that the nominee is obligated to accept the nomination OR accept a position on the board. So if you know someone that is dedicated, organized, flexible, and can contribute to the success of Ted Greene stop by the snack bar for a nomination form. If you have any questions about general membership OR being on the board feel free to stop any current board member (Brenda, Jacqui, George, Demian, David, Raul, Jimmy, Sergio, Myishia, Jennifer, Monique, Eric) and ask away! REMEMBER! 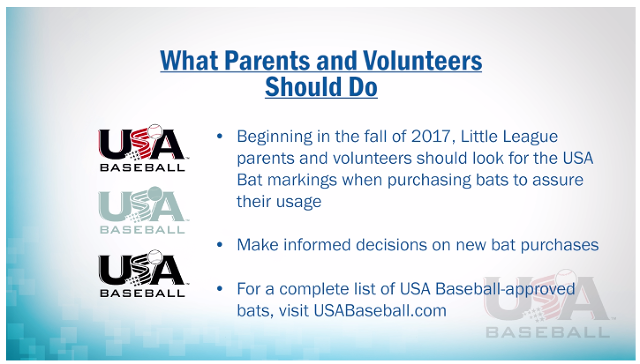 Little League is run based solely on volunteerism, the more volunteers contributing the more smoothly our league can run! Ted Greene Little League has had the pleasure and privilege to experience many years of a great man. Al Guillen has answered the call to home from his Divine Father. Al's many efforts in coaching, moving the league forward, serving as a board member, and more has touched many people's lives by way of his love for baseball. 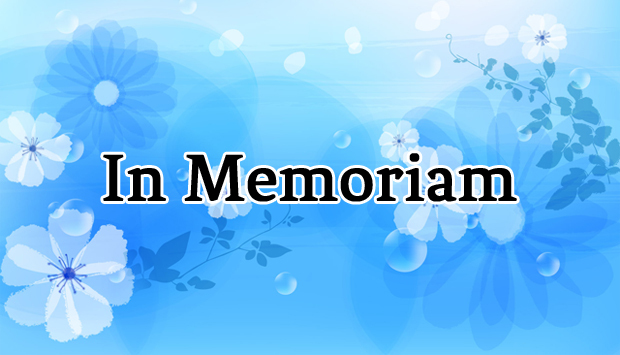 You will not be forgotten. If you have a talent you'd like to share with us at the field such as field maintenance, coaching, score keeping, donating for events, announcing, etc...let us know! We encourage and appreciate any help from the community. PLEASE use the email link to the left and let us know you are willing to help out! Send your name, phone number, and times you are available to help!